ComplexPulse - pulse indicator or signal. Sensitive and responsive to price movements. 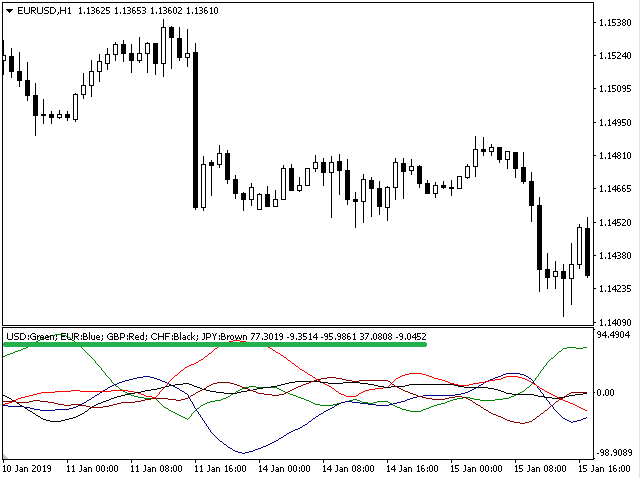 The indicator shows the interdependence of various currency pairs, namely: USD, EUR, GBP, CHF, JPY. Currencies are measured in relative units, so in each unit of time the sum of all currencies will be equal to zero. 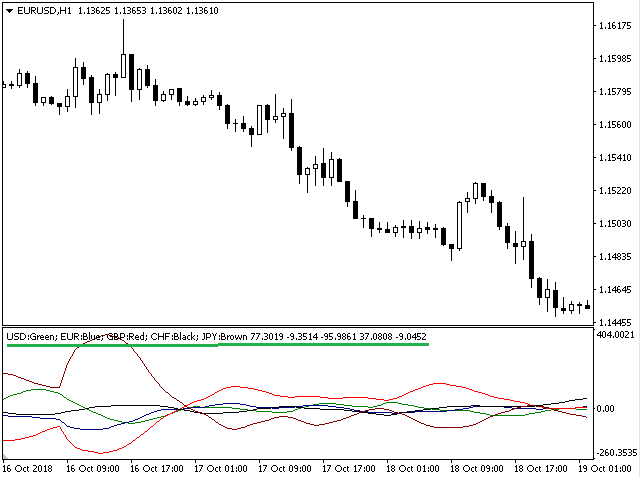 Hence, one of the main elements of cluster indicators is the zero line, or the balance line (zero line). If a currency is below the balance line, then it is said that the currency is oversold relative to other currencies. And accordingly, if the currency is above the zero line, then they say that the currency is overbought relative to other currencies. If a particular currency is overbought, then sooner or later it will begin to relieve its tension against all currencies, the currency line will go down and may reach the balance line or even enter the oversold zone. If the currency is near the balance line, then it means that the currency is in equilibrium relative to other currencies. Another important element of cluster indicators is the point of intersection of the two lines, indicating a change in trend or giving a signal. 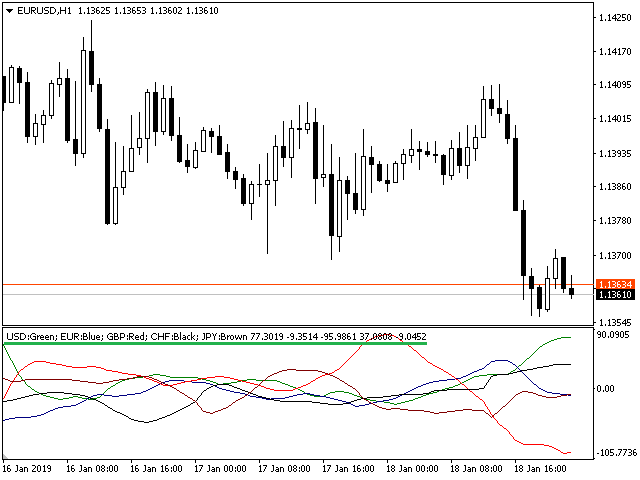 In addition, it is possible to highlight divergences and convergences on the indicators.